The Mufti Office from the Bulgarian city of Smolyan has demanded that the regional police department allow Muslim women to take their new passport pictures with headscarves on. The director of the police department in Smolyan, Kiril Hadzhihristev, said that the demands of the Muslim spiritual leaders cannot be fulfilled because, according to the rules for issuing identity documents, the picture should display the face, ears, and at least 1 cm of the hair of the person. Hadzhihristev explained that when photographic veiled women, the headscarves need to be pulled a little so that the required parts are visible. Representatives of the Mufti Office said they will approach the Parliament with a demand for changing the regulations. “This is not in conflict with the Bulgarian law and it could be solved. 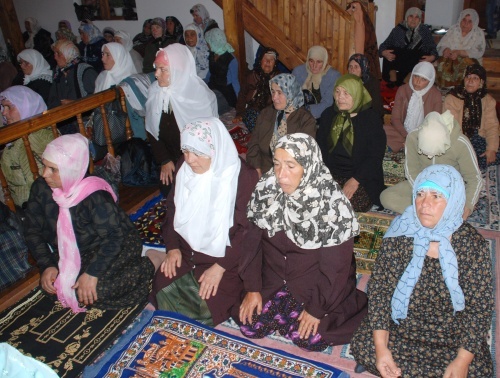 A compromise could be done,” the Smolyan Mufti Nedzhmi Dabov said.